Premium Compatible Label Tapes for the Brother P-Touch 1250VP printer. The Brother P-Touch 1250VP is a monochrome printer that uses black and white Brother P-Touch 1250VP Label Tapes. This label printer is a right choice for home, office, business or workshop. The Brother P-Touch 1250VP is extremely lightweight and weighs 0.4 kg only. This label printer is approximately 154 x 129 x 79 mm in dimensions. This label printer has a printing speed of up to 10 mm/sec and uses a QWERTY keyboard. This label printer features a two-line printing and has a memory that can store 300 characters and features a manual cutter. The Brother P-Touch 1250VP Label Tapes compatible with the printer are Brother TZ tapes. The Brother P-Touch 1250VP uses Brother P-Touch 1250VP Label Tapes instead of toner cartridges or ink cartridges that reduces running costs to a very great extent. This label printer has a number of navigation buttons that are used to perform the printer’s basic operations. This label printer also has a navigation dial and supports 3 tape widths. The Brother P-Touch 1250VP is is a great choice for home, office, business or workshop. 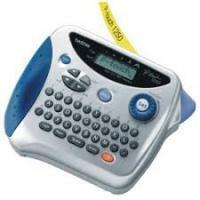 This label printer uses a QWERTY keyboard and is lightweight and compact. This label printer is monochrome and supports only black and white printing. It supports a wide variety of styling and effects. This label tape has an in-built memory but supports a manual cutter. Also, this label printer has a very small footprint. Q. What size of the Brother P-Touch 1250VP label tapes are available? A. All Brother P-Touch 1250VP label tapes and others come with three different widths that are: 6 mm, 9 mm, 12 mm. Q. Do you provide environment friendly labels for all the printers? Before I place an order on your website for the Brother P-Touch 1250VP label tapes I would like to know the environmental features of the same. Thanks. A. Thank you for the question. Every label tape offered by our website is manufactured with environmentally safe materials as much as possible. And as far as Brother P-Touch 1250VP label tapes are concerned, we provide TZe label tapes that use 80% less plastic. Plus, the cassette is made up of 5% of recycled materials. The ‘e’ in TZe stands for environmental which suggests that the labels are environment friendly. Q. Today I turned on the machine just to find that the display screen was completely blank. I tried to restart my Brother P-Touch 1250VP but couldn’t resolve the issue. What could be the problem? A. First of all, please ensure that the batteries have been installed properly with the right polarity. Make sure you are using standard batteries ( alkaline “AAA” LR 03). Next, if the batteries are weak you need to replace them. If the printer is not connected to an outlet using AC adaptor you will need to replace the new batteries within 3 minutes of duration to prevent the text files in the memory from getting erased. In case the AC adaptor has been used, check if the adaptor is not loosely connected. Insert the adaptor properly into the outlet. If the problem persists please contact Brother customer support to resolve the issue. Q. When I try creating labels the printed characters on the Brother P-Touch 1250VP label tapes are blurred. Can you please help with the problem? A. We are happy to help you. This kind of problem occurs commonly when the tape cassette is not fitted in the place properly or if the cassette is empty. In case the cassette is empty you will have to replace it with a new one. Besides, it would also be better if you adjust the character size according to the width of the tape and try creating labels again. Q. Can I use Brother P-Touch 1250VP label tapes in hot environments for long period of time? A. Yes, you can go for the Brother P-Touch 1250VP laminated TZe label tapes to use it in hot environments. These tapes are versatile and highly durable. The standard adhesive is permanent and heat-resistant. The labels can be used in cold or hot environments, indoors and outdoors on smooth flat surfaces. Q. Do you make delivery to the rural areas? If yes, how long would it take to deliver? A. We deliver all the orders through Fastway Couriers that accepts orders for rural locations too. In general the delivery may take 1 to 3 days for rural locations. To confirm the accessibility of your location for the same please contact us on 048 30833221. Q. I have a Brother P-Touch 1290 printer along with the Brother P-Touch 1250VP. Can I use the Brother P-Touch 1250VP label tapes with my other printer? A. All the Brother P-Touch 1250VP label tapes are compatible with the 1290 model. You can use the label tapes without any worries. Q. Is Brother P-Touch 1250VP a portable device? A. Yes. The Brother P-Touch 1250VP is a lightweight portable labelling machine which works both with batteries as well as an ac adaptor. This makes it easy to carry it anywhere.